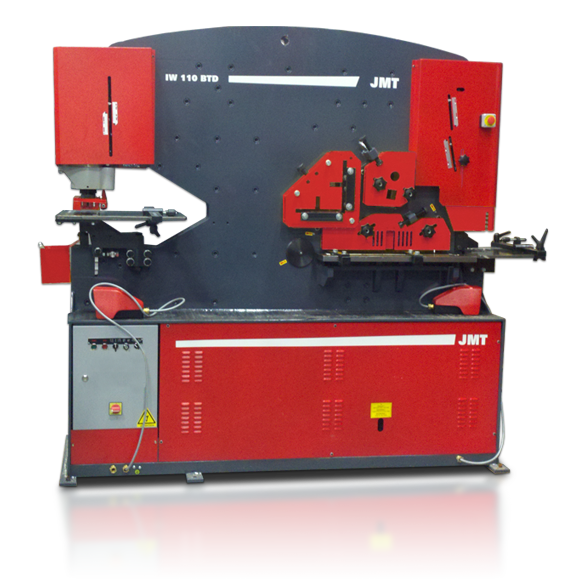 JMT is proud to be renowned in the fabrication industry as the #1 source for press brakes, due to our extensive press brake bending expertise. 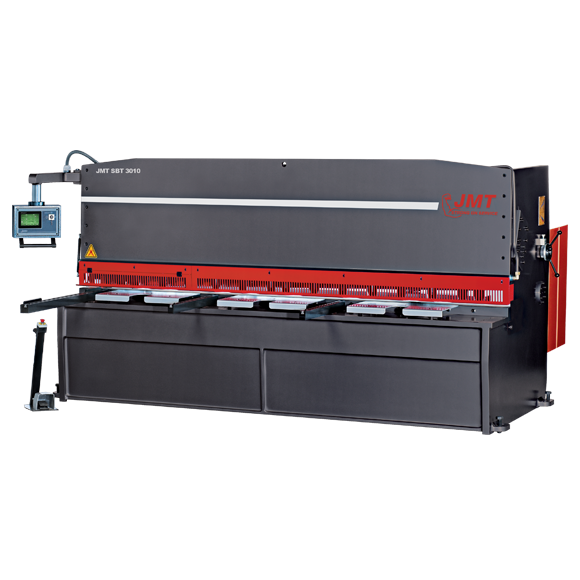 Along with our extensive bending knowledge we offer the most complete lineup of the highest quality press brakes for sale in the market today. 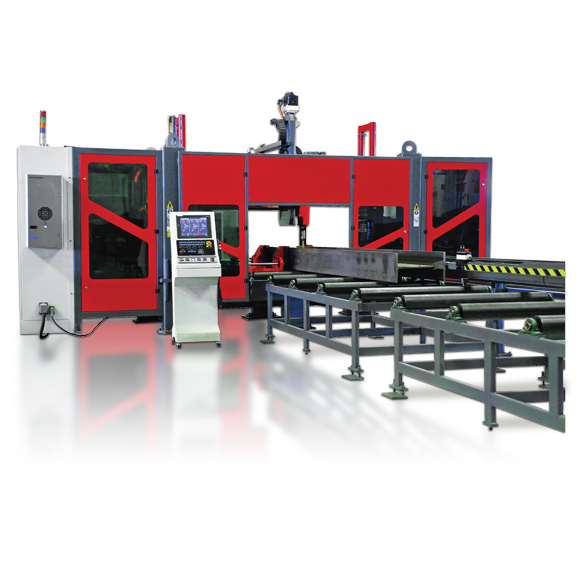 Choose from our well rounded selection of hydraulic press brakes with multiple cnc controlled axis, to our eco-friendly servo hydraulic brakes or our fully electric press brakes. Large to small brakes and everything in between. 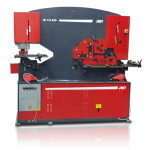 We also carry an extensive inventory of press brake tooling, along with time saving integrated robotic systems. 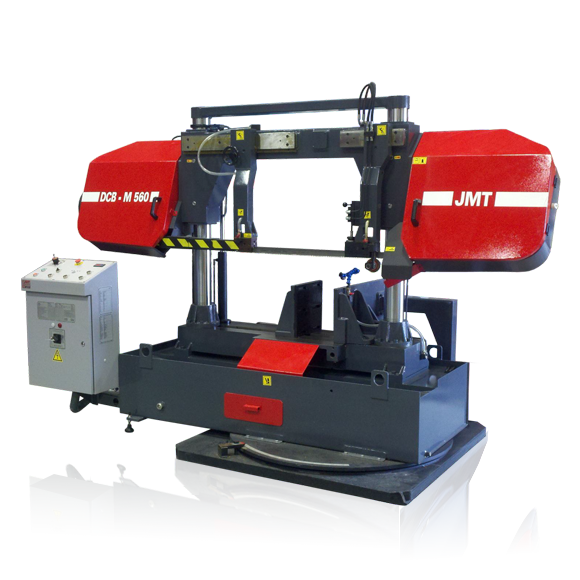 Industry leader in Press Brakes offers an unparalleled reputable selection of Hydraulic Press Brakes for sale. Small 4 foot brakes, large 30 foot brakes, tandems, and trios in tonnages ranging from 66 tons to 3300 tons. We start with basic brakes that have 3 cnc axes to sophisticated brakes with up to 15 cnc axes along with servo driven advanced technology brakes with impressive energy savings. 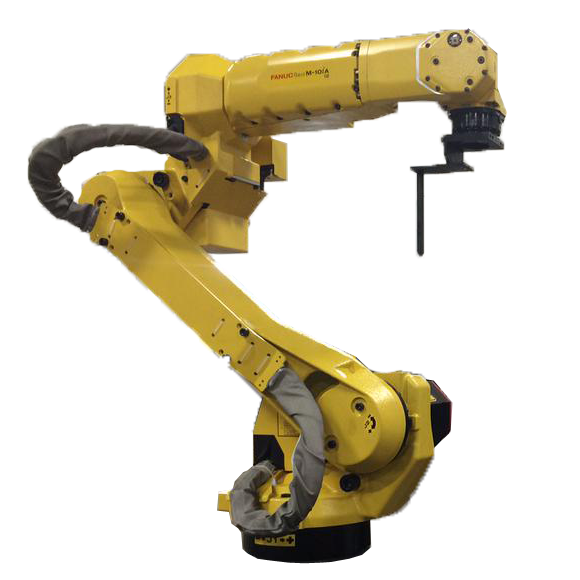 Browse our powerful and precise CNC Hydraulic metal bender machines that are up for any complex precision bending challenge. 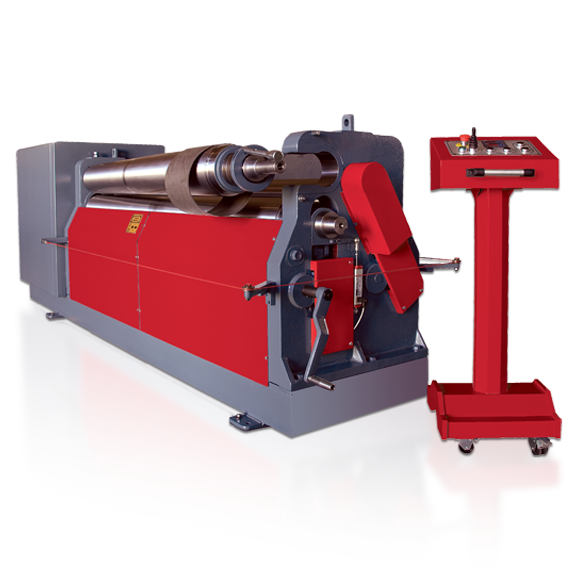 New Electric Press Brake Series! 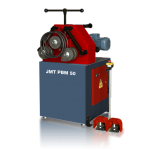 Due to the ever increasing demand worldwide to decrease our carbon foot print, and become as efficient as possible, JMT has developed a sophisticated new series of brake presses. 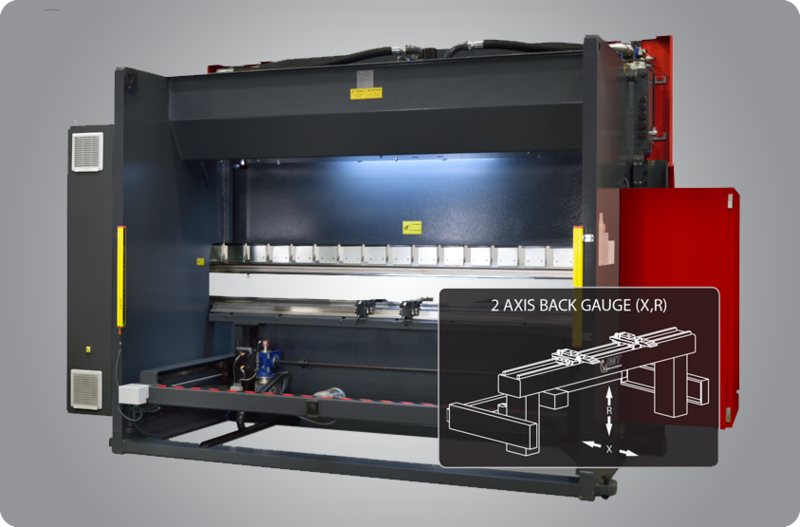 Introducing our Eco Bend "ALL" Electric Press Brake Series of metal bending machines with direct drives and unique frame designs that keeps the bending beam parallel to the die at all times. 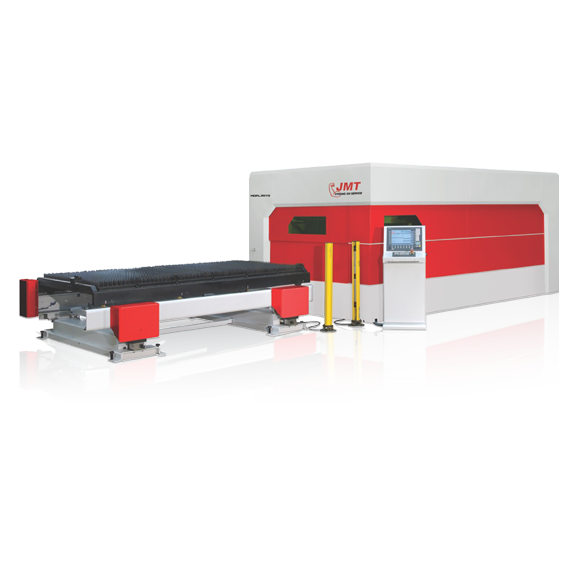 Browse this new line up of powerful & eco friendly electric press brakes that offer up to 75% energy consumption savings, super fast cycle times and whisper quiet operation. 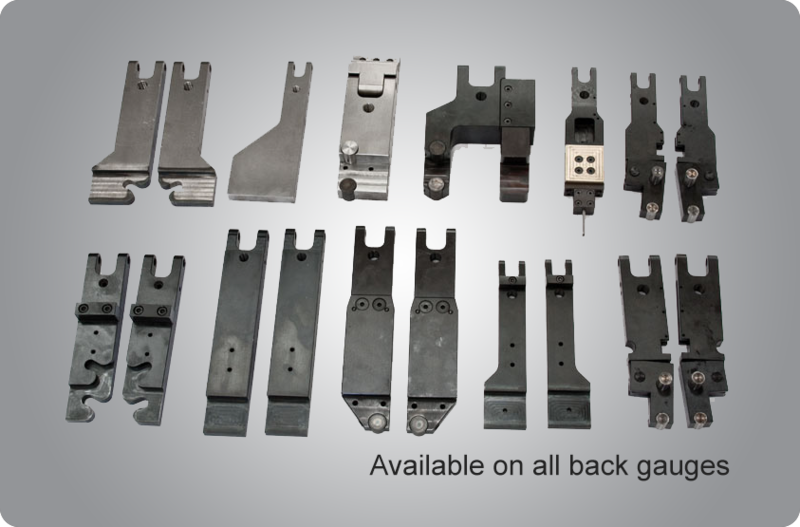 Call our friendly Press Brake Tooling and Die experts and be sure to get the right tooling for your unique bending jobs. 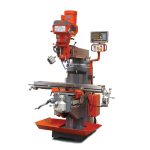 Large selection of tooling, dies and parts in stock and ready to ship, including goose neck, standard style, american style, & european style tooling; 4 way press brakes dies, multi V dies, quick clamps, back gauges and more. 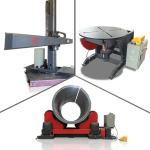 Custom tooling for large radius bends, small radius bends, light pole bending tooling, special tooling for punching and you name it we either have it or can make it for you. Press brakes abound, virtually every metal fabrication shop has one or more, but brakes still remain one of the most labor intensive machine tools in the fabrication process. 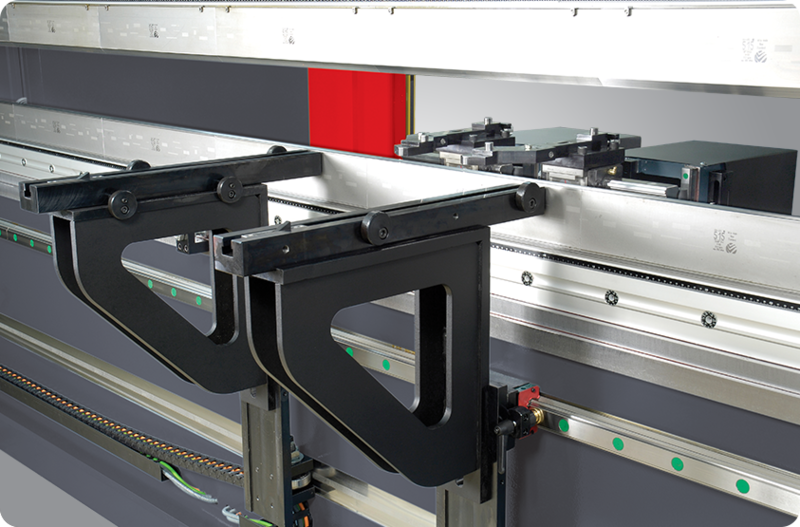 Every fabricator understands the benefits achieved by running a press brake "lights out" 24/7 at top speeds, which can only be accomplished with automation and robots. 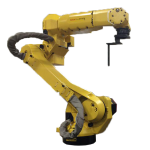 Browse our offering of advanced Robotic Bending Automation technology that may be the answer to the efficiency improvements you're looking for. 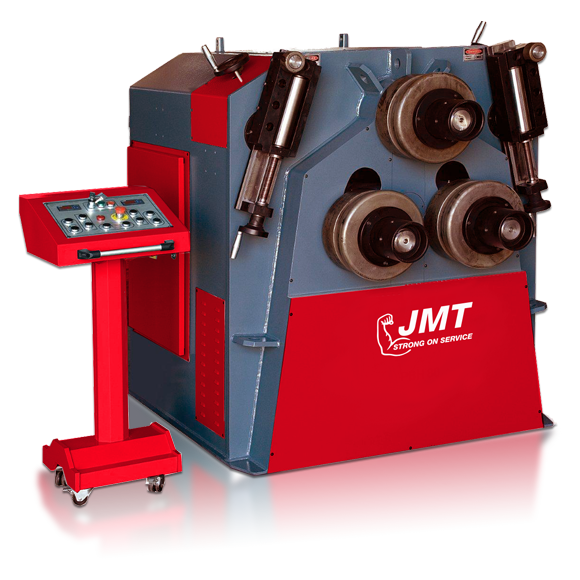 JMT press brakes benefit your bottom line with higher quality parts, faster cycle times, lower operating and maintenance costs. 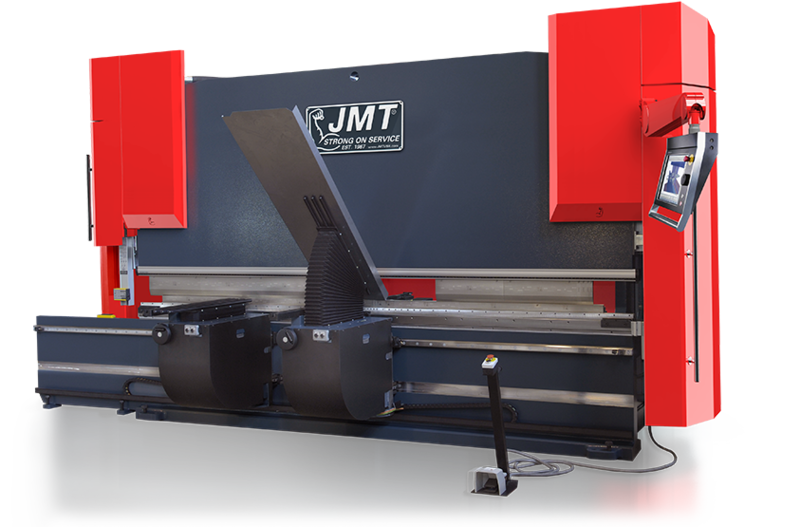 Whether your application requires bending simple shapes or complex parts, JMT has a press brake to match your needs and your budget. 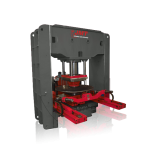 JMT press brakes are designed for reliability, repeat-ability, precision, performance and ease-of-operation. 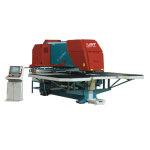 We offer several series of press brakes with features and options tailored to different manufacturing environments. Each series offers a range of lengths and tonnages. 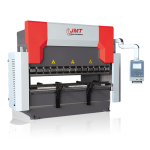 JMT can also custom design and manufacture a press brake to your exact needs. 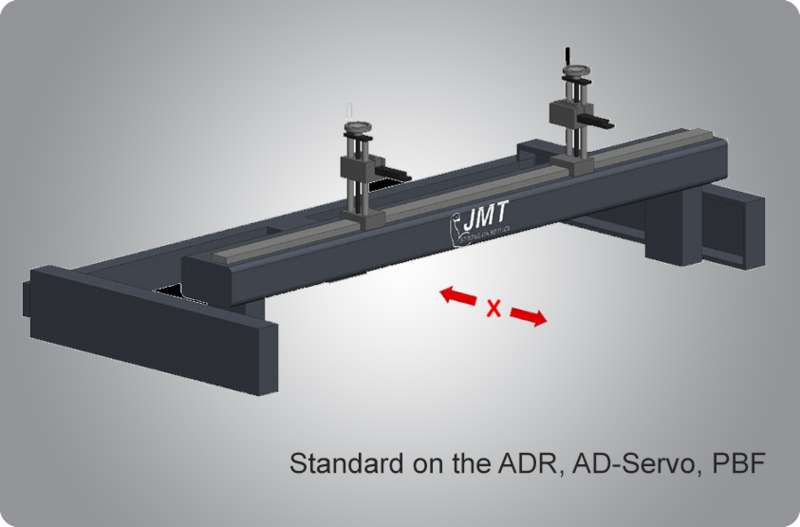 Synchronized dual cylinders and valves assure smooth, stable ram motion for high-quality precision ram positioning accurate to within 0.0004 inch. Deeper throat dimensions allow you to form more parts, the full length of the machine. Extra stroke length also gives you more versatility. 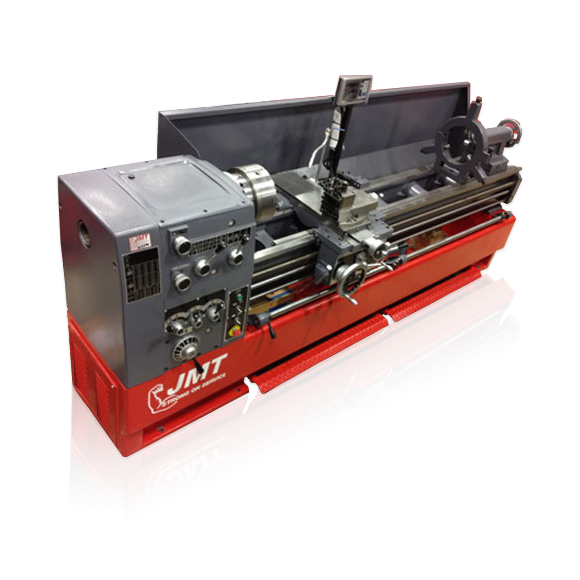 Dual hydraulic cylinders located on either side of the ram provide faster approach speeds. 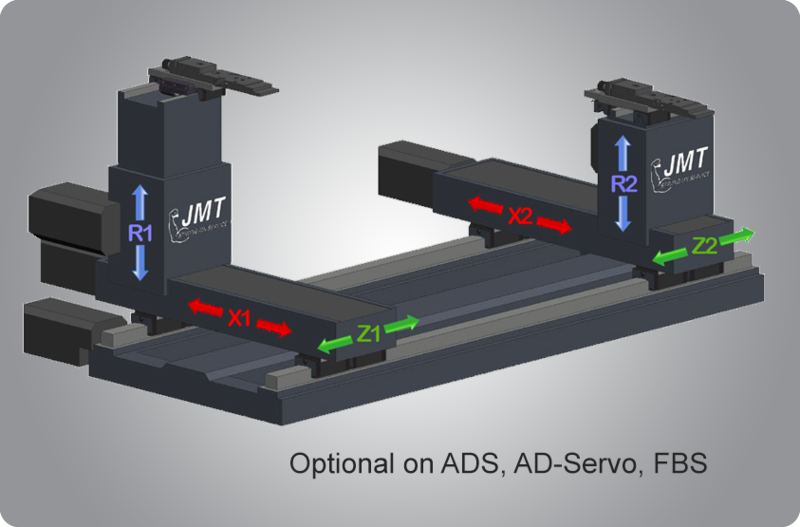 The cylinders are synchronized to provide smooth motion resulting in precise ram positions to accuracies of .0004"
JMT made press brakes can easily accommodate parts with deep bends and that require long tooling because of our open space design. 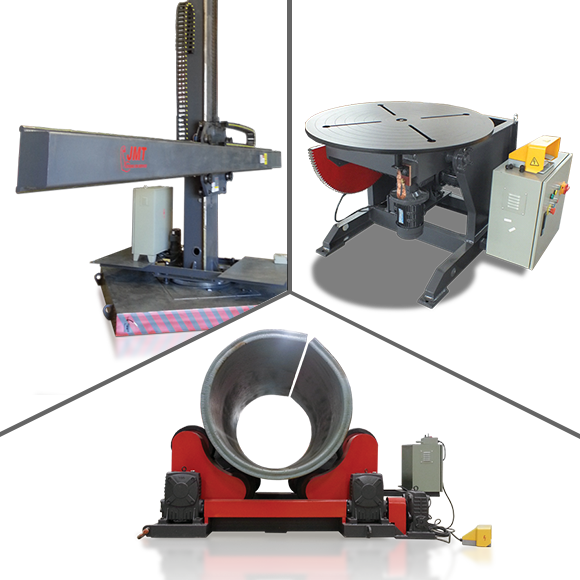 Our machines typically have deeper throat depths, larger daylight spaces and longer stroke lengths than any manufacturer in the market. We’ve also mounted the RAM GUIDING on the outside of the frame to maximize the distance between the side frames allowing our brakes to accommodate deep part flanges. 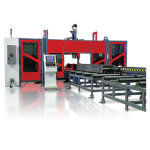 The safety photoelectric device DFS LASER is a monoray barrier with visible laser emission that, integrated n a more general check system, contributes to the operator’s protection. 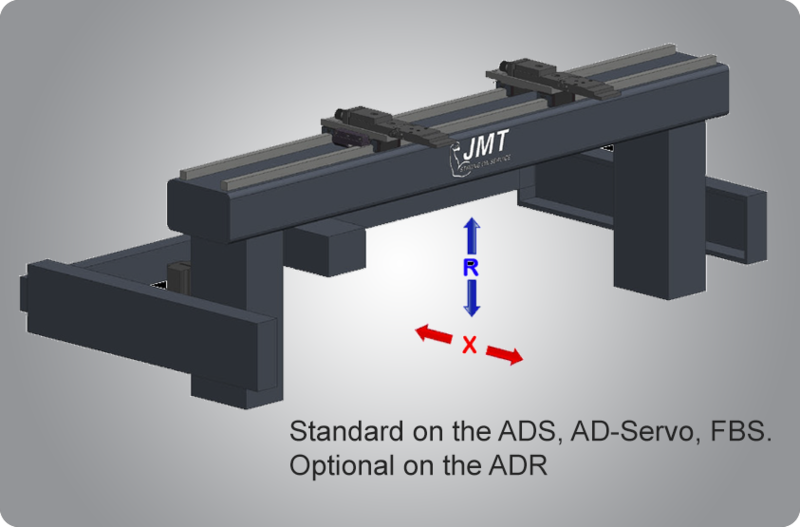 Optionaly JMT can install an Akas motorized receiver-transmitter adjustment system. This system sets the height of the receiver and transmitter to accommodate punch changes automatically. 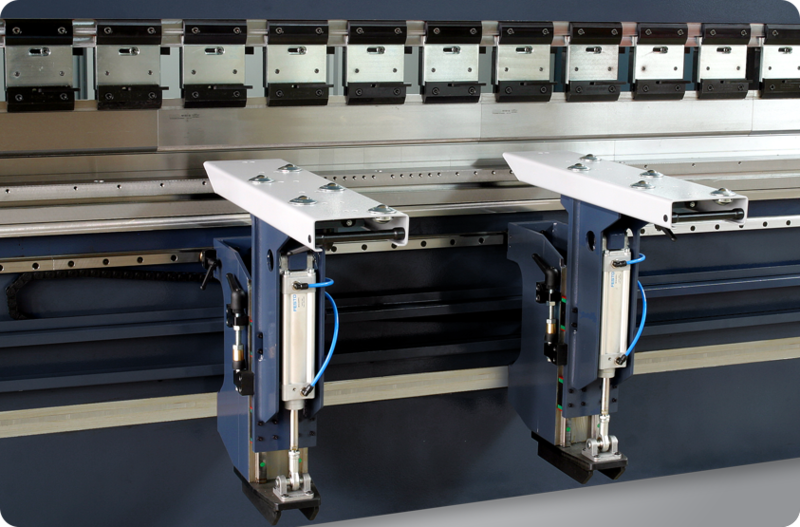 The compact DA-52S is a complete CNC solution for Y1-Y2 synchronized press brakes. The panel based control, capable of controlling up to 4 axes, can be integrated in cabinets as well as in an optional pendulant arm housing. 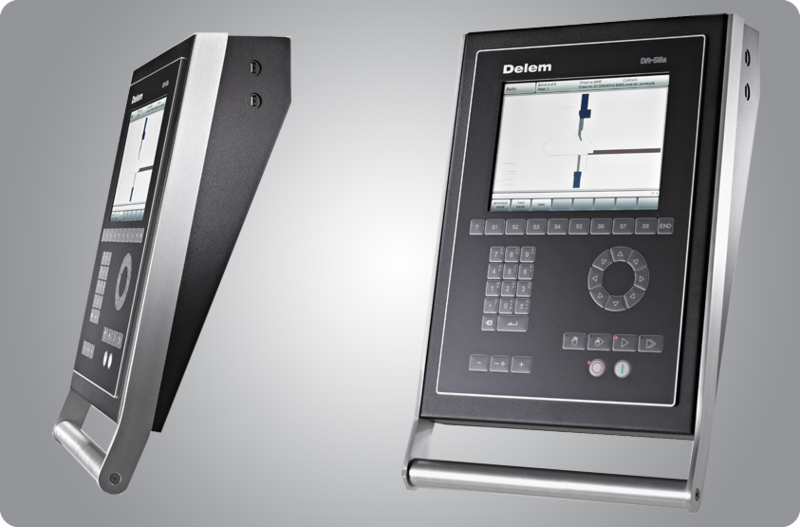 Equipped with the Delem user friendly interface, the DA-52S provides all main press brake functionality. The unique ‘hotkey’ navigation gives direct access to the programs in memory and enables quick and easy programming of a product. All common bend parameters are located on one page. For advanced parameters an additional page can be selected. 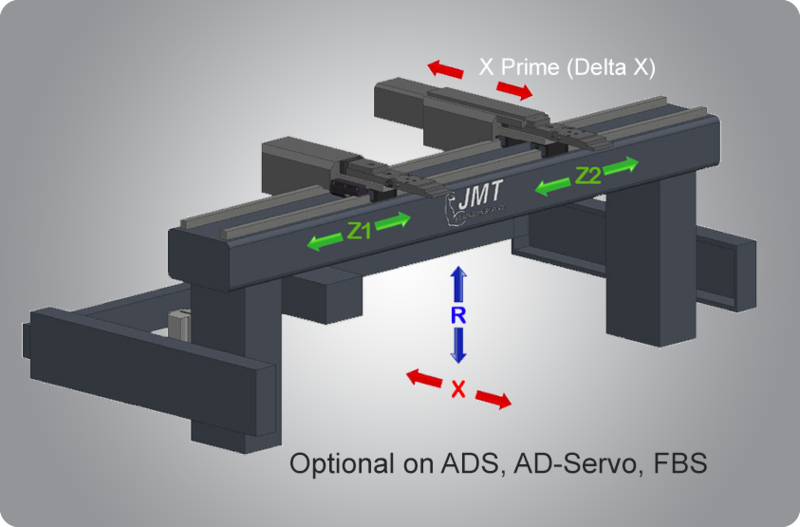 Angle programming of the Y-axis, crowning function and pressure control are standard on board. 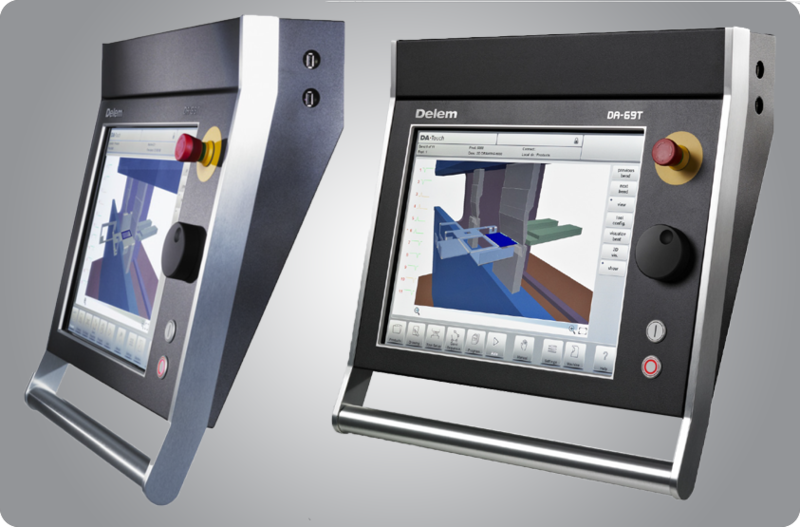 The compact DA-56S control provides easy CNC programming with the Delem 2D graphical product design tool. Machine adjustment and test bends are reduced to a minimum because of the quick and easy to use bend sequence determination tool. 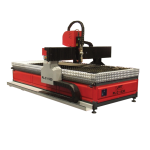 The CNC program is generated with a one touch key stroke. 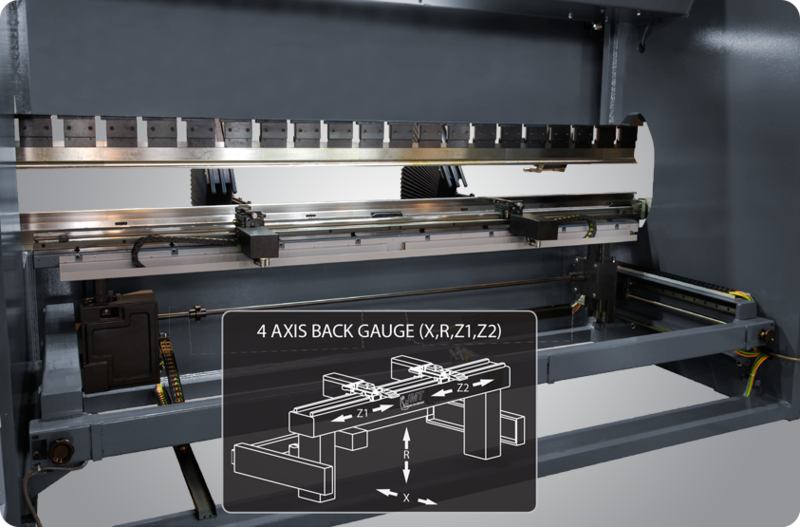 You are ready to make the first part since all axes positions are automatically computed and the bend sequence has already been simulated on the screen with the machine and tools in real scale. 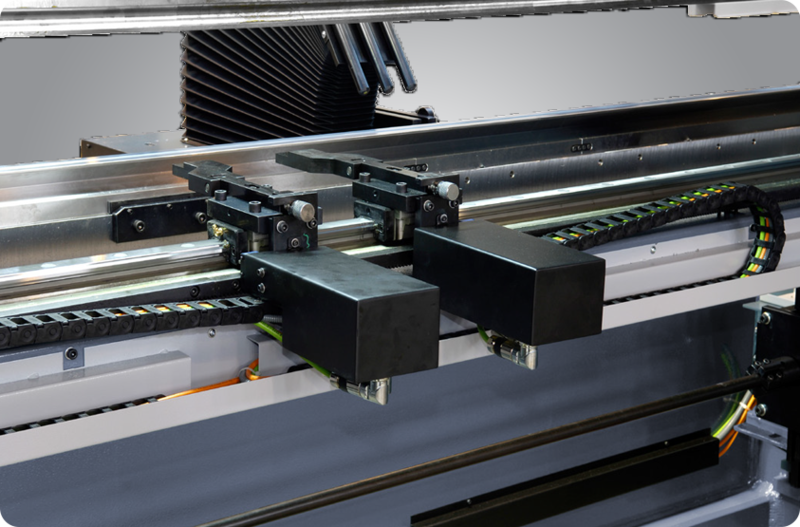 In the production mode of the DA-56S the operator can graphically simulate the bend process of the product guiding him during the press brake operation. 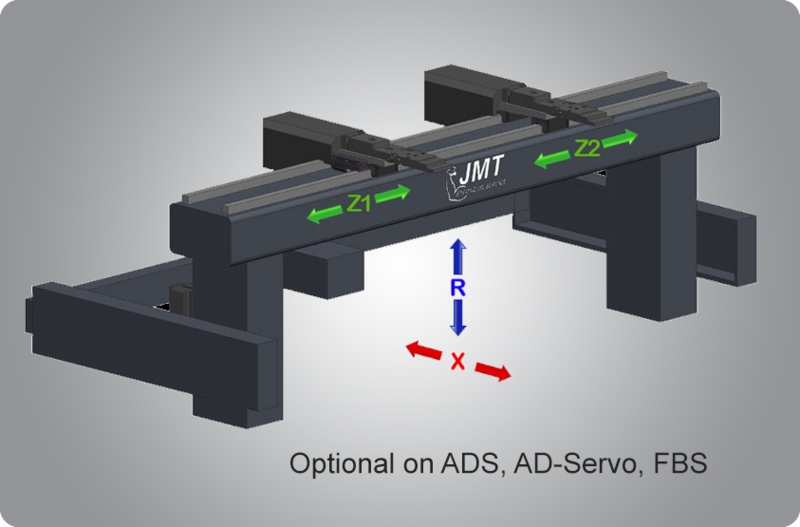 Advanced Y-axis control algorithms for closedloop as well as open-loop valves. 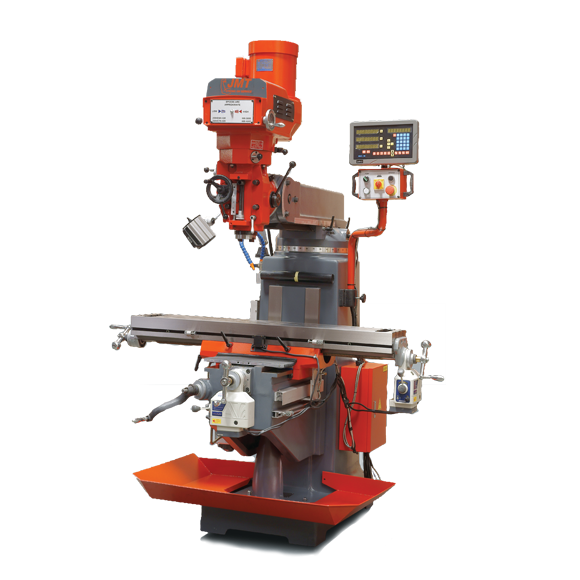 The basic brake press machine control functions are Y1-Y2 and X axis, a second back gauge axis can be used as R/Z or X2 axis. 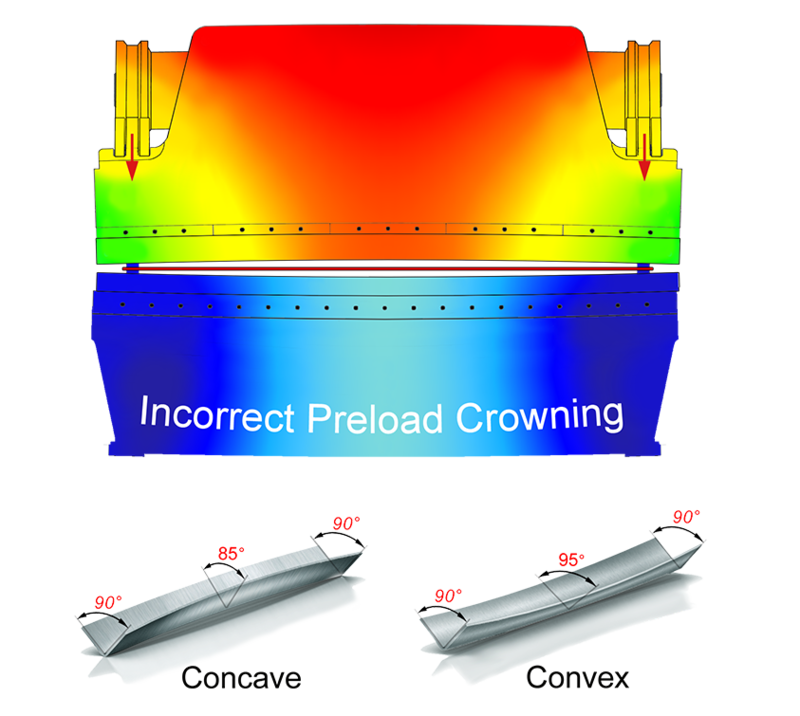 Also the crowning function is standard. 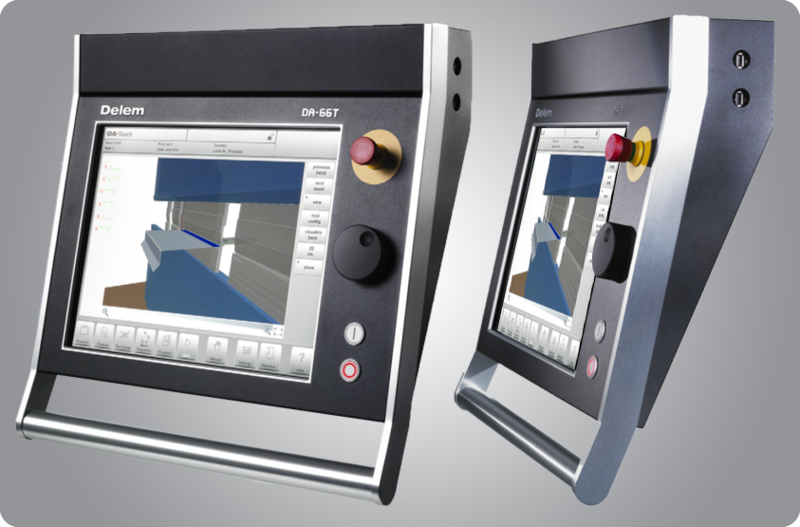 The new generation DA-Touch controls offer an even higher grade of efficiency in programming, operation and control of today’s press brakes. Ease of use combined with state-of-the-art technology go hand in hand, improving productivity. 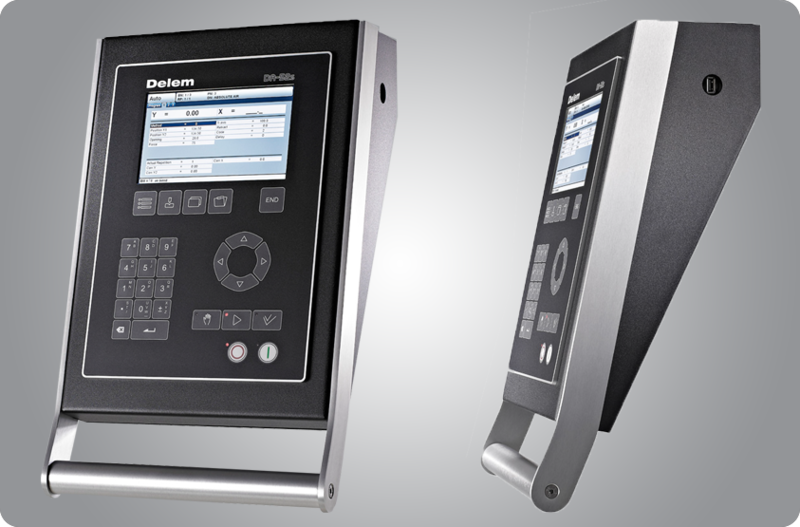 The touch screen gives access to the proven Delem user-inter¬face and enables direct navigation between programming and production. Functions are directly located where you need them, offering optimized ergonomics throughout the application. 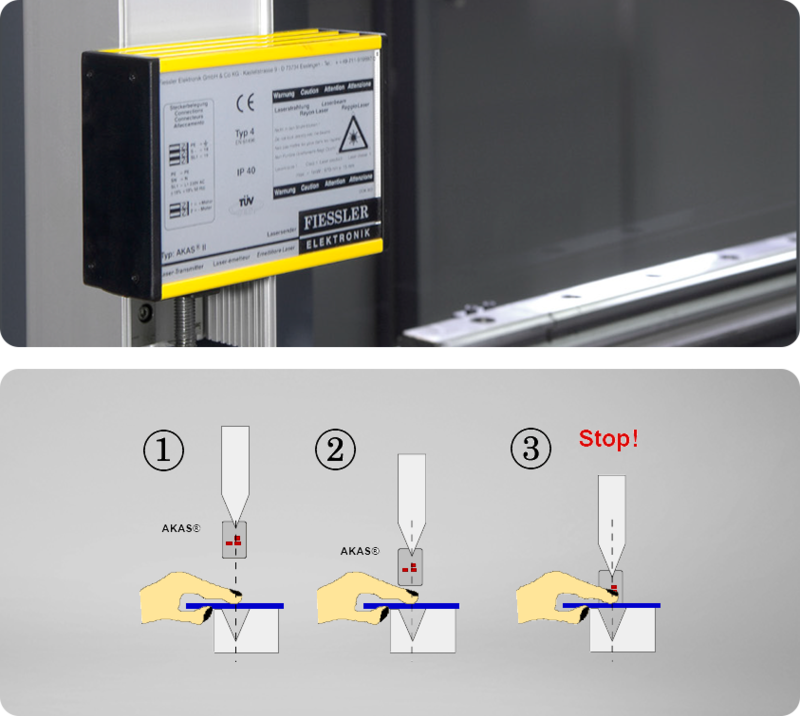 The OEM-panel located above the screen, reserved for machine functions and OEM application switches, is integrated in the design and can be used depending on the required application. 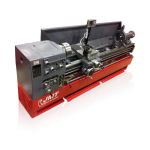 Manual and CNC crowning ensures a constant bend angle across the full length of the machine. 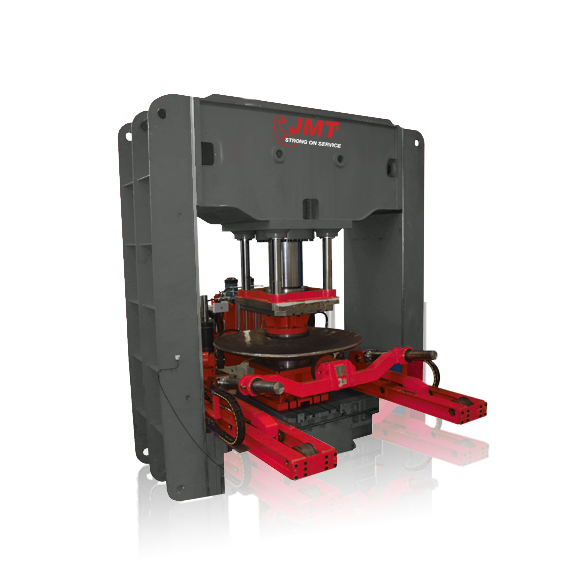 This is achieved by pre loading the machine, to offset any possible deflection under load or compensate for any tool wear, so that under load contacting surfaces are parallel to each other. 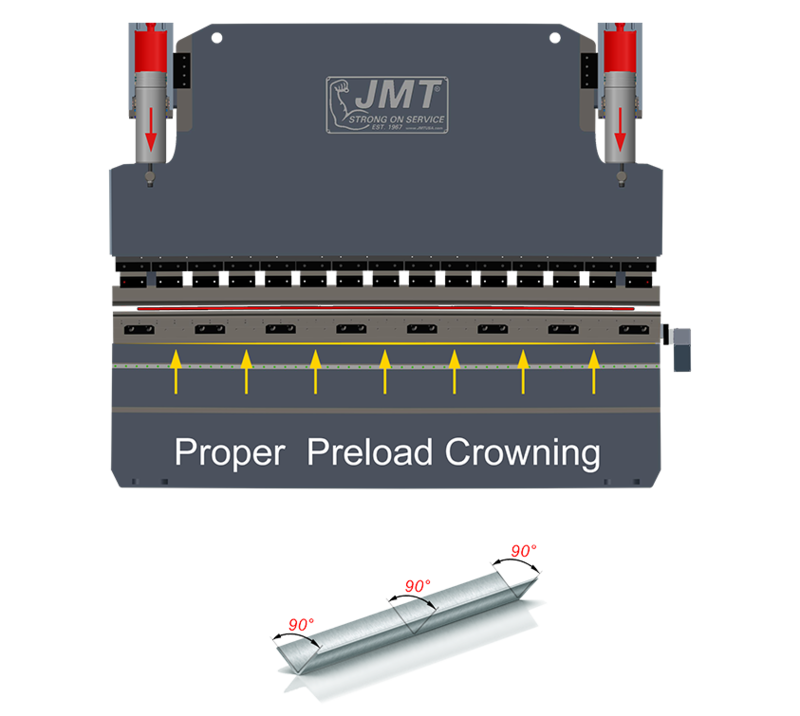 With CNC crowning systems the press brake control is preprogrammed with machine characteristics and deflection data. With manual crowning a simple spread sheet or chart can be easily developed for each application. Standard on the ADR. Optional on the FBS. Standard on the ADS, AD-Servo. Optional on the ADR. 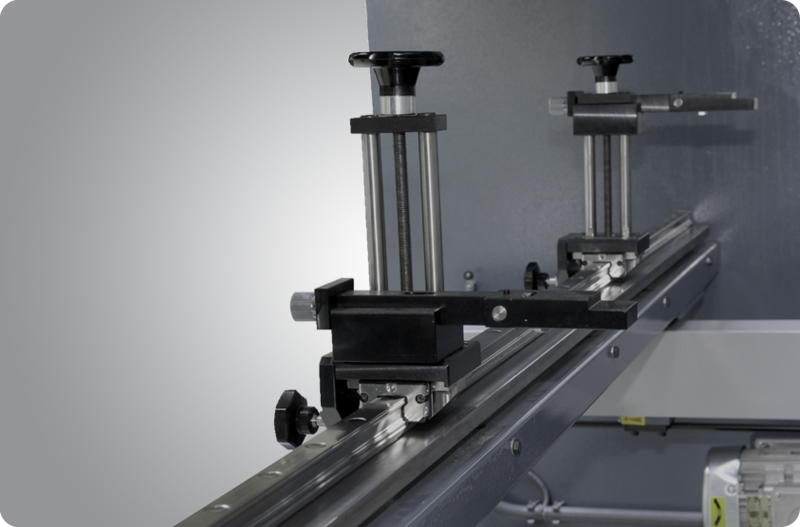 Quick set support arms are mounted on a linear guide way and ball bearing system that allows “finger tip” lateral adjustment of the front support arms. Vertical adjustment is quick and easy. Optional pneumatic adjustable front arms can save time by adjusting quickly to different bottom tool heights. 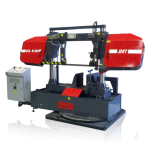 This option provides continuous synchronized support during the bending process that also prevents back bending. This allows for faster and safer part production. 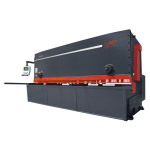 The correct back gauge for the application can have a substantial positive influence on production part volume and accuracy. The more intricate the parts, typically the more axes on the back gauge you should have. Volume of parts needs to be considered also. A smart, experienced brake press operator can bend, form and produce some very intricate parts without even a single axis back gauge. However, the more time it takes to form the correct part, the more costs you have in the part. So the best scenario would be to have an experienced operator with the correct back gauge system that will magnify their skills. 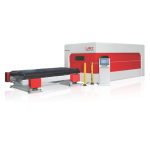 But in today’s market, smart, experienced Press Brake operators are getting hard to find. 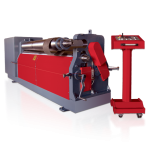 So the correct back gauge for the application will decrease costs per part by helping to make a good press operator, a great one. The less experience an operator is the more axes you should have. 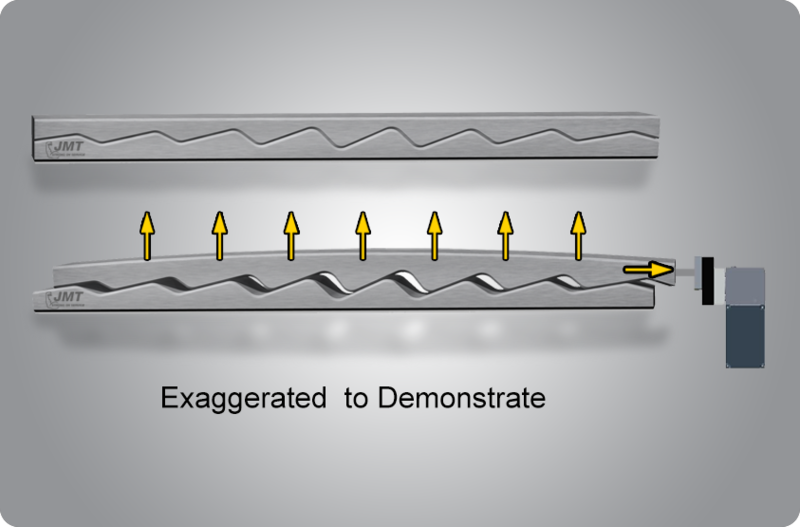 Also, experienced operators know the benefit of correct back gauge for applications. JMT is here to consult with you on your application requirements. 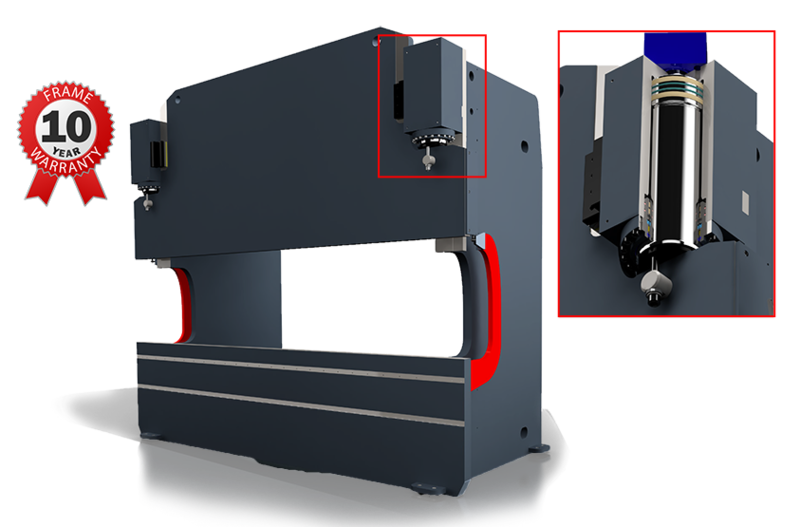 X Axis: Motorized, CNC Controlled, R Axis: Manually height adjustable finger block Fingers depth (X axis) is calculated by CNC controller. Retraction is also a standard feature to eliminate collision. 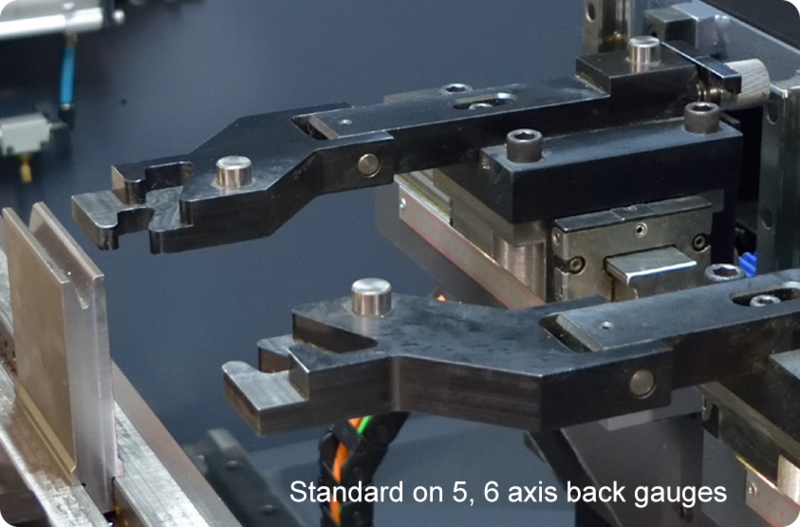 Back gauge fingers are easily adjusted on the ball rail linear guides and can be fixed in place. 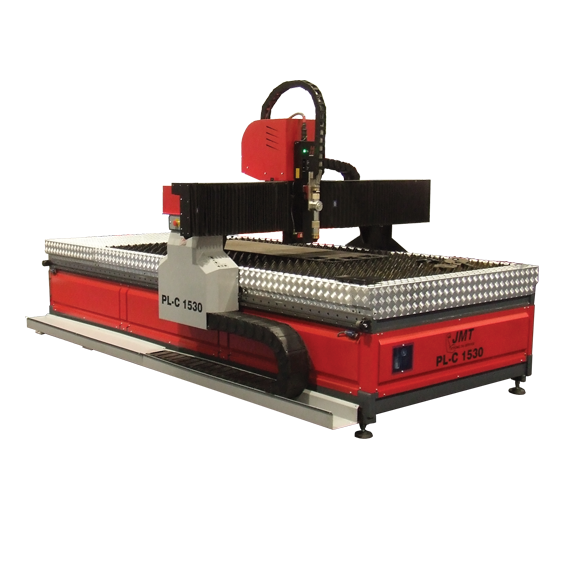 The single axis back gauge comes with a Motorized, CNC controlled X axis which controls the finger depth (flange depth). Programmable Re¬traction is also a standard feature to eliminate any possible collision. 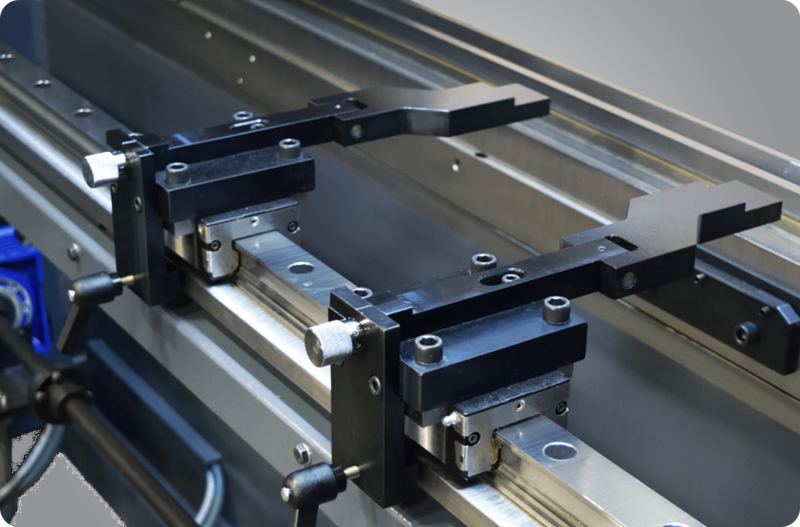 The back gauge fingers are easily adjusted on the ball rail linear guides and can be fixed in place. Back gauge fingers also have a simple micrometer adjustment for calibration. Also fingers can be moved manually and fixed in desired place. 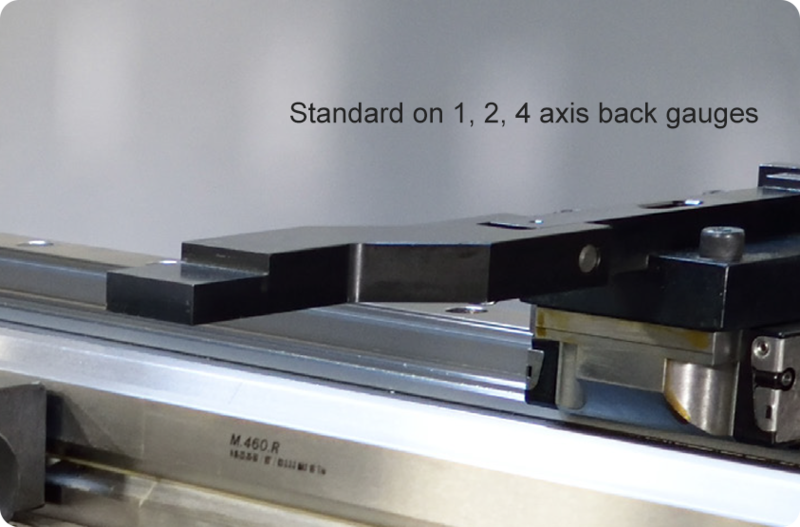 R1, R2, Z1, Z2 axes are adjusted manually and can be fixed in place. 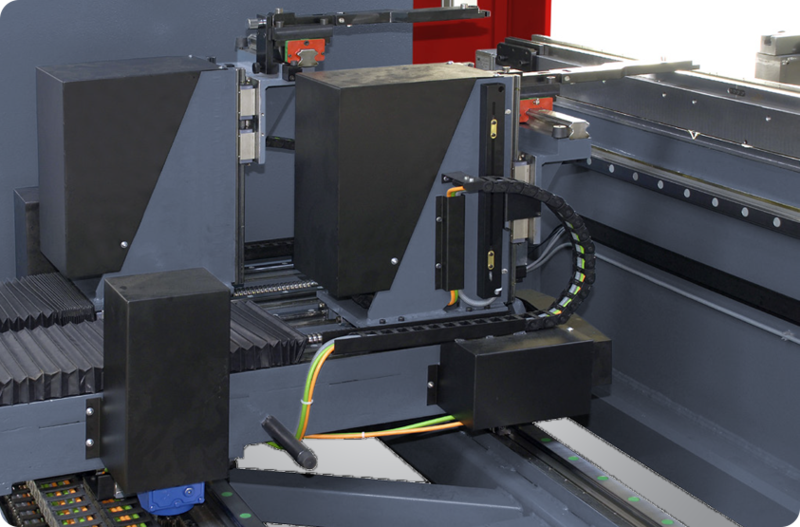 Our ADR series press brakes are equipped with CNC 1 axis back gauge. 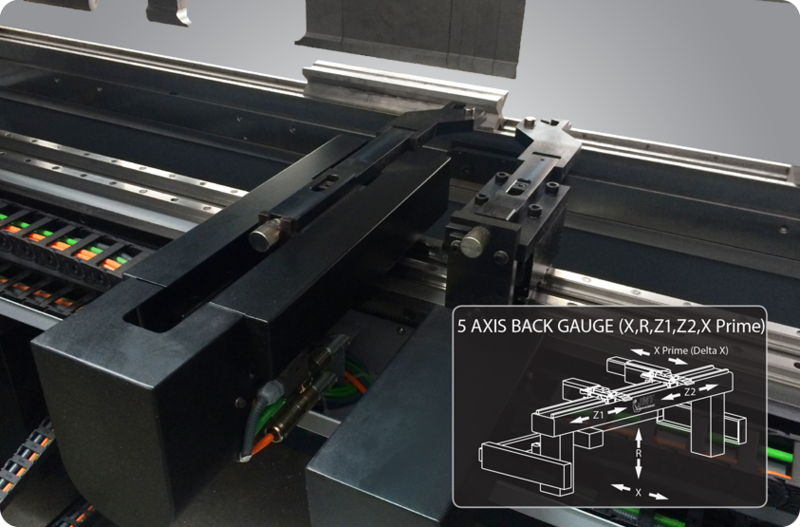 Optionally we offer a 2 Axis CNC back gauge (X-R). 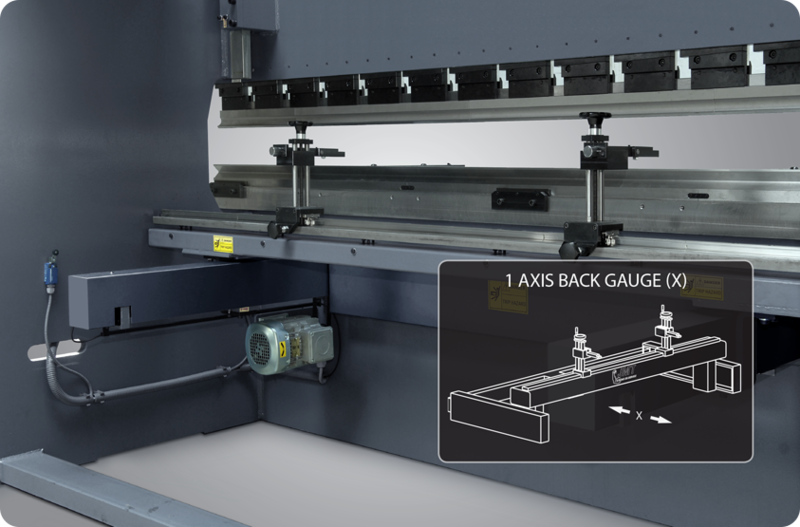 Fast and precise 2-axis CNC controlled back gauge that automatically adjusts the X (depth) and R (height) axes to ensure your material is always positioned accurately, resulting in higher quality finished parts. Axes movements are driven by AC motors and drivers. 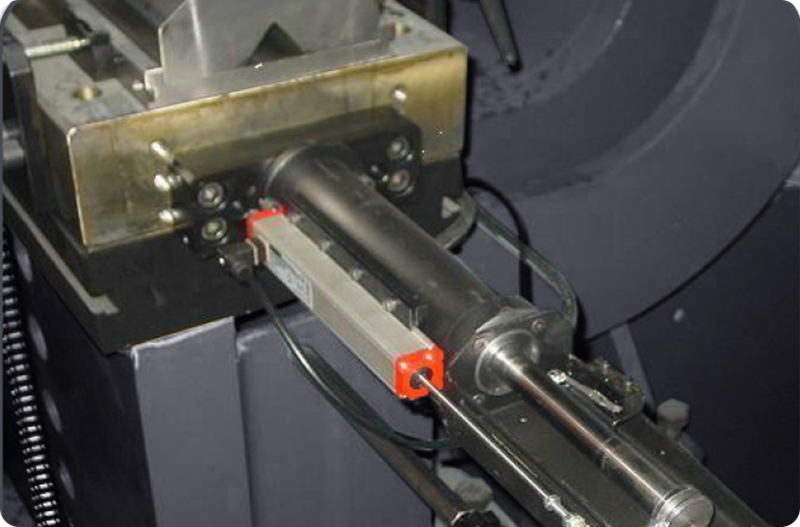 Using the best components, such as THK (Japanese) ball screws, our back gauge movements are fast and precise, with X-axis speeds up to 600 IPM and high accuracy. 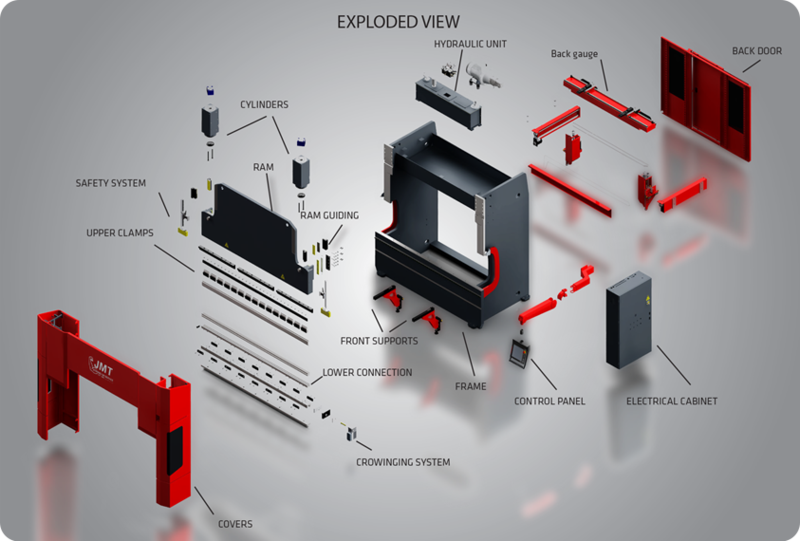 Utilizing top quality components adds to the longevity of your machine. 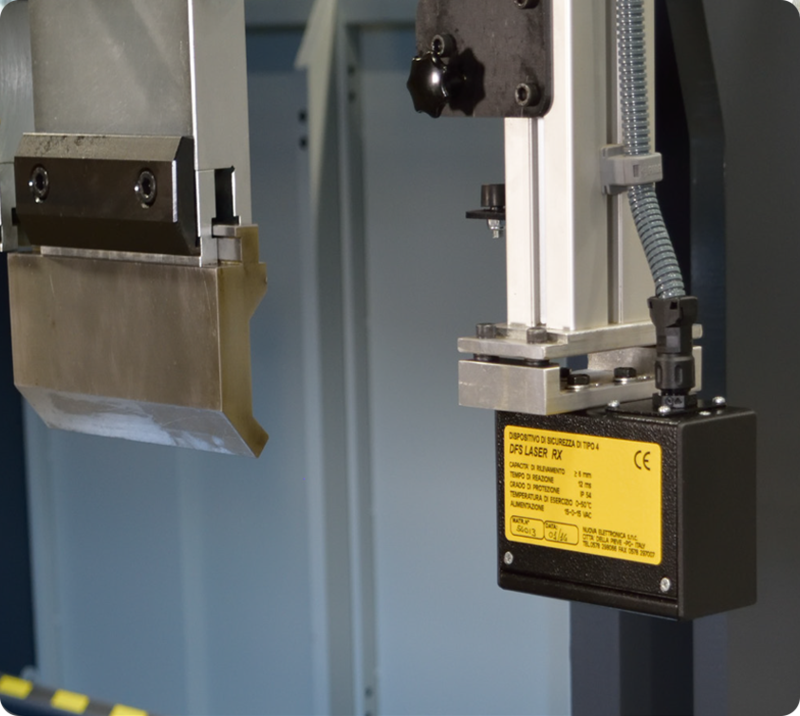 Our ADS and AD-Servo press brakes are equipped with a fast and precise 2-axis CNC controlled back gauge. 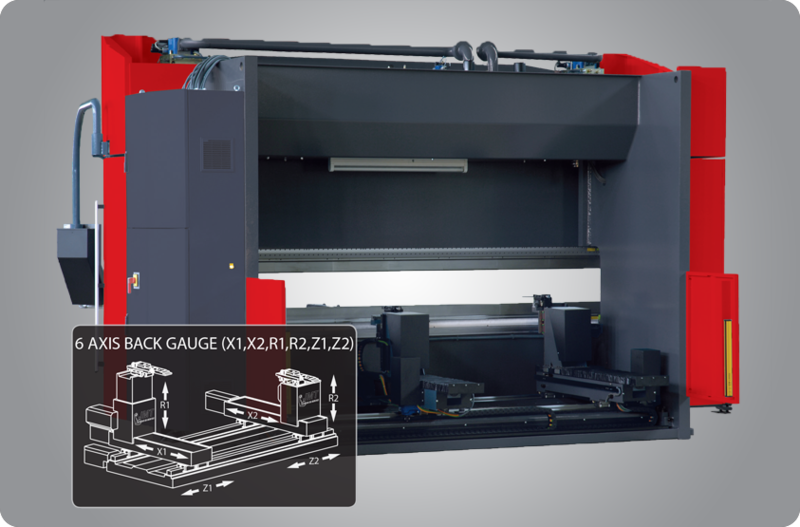 Optionally we offer a 4 Axis CNC back gauge (X-R-Z1-Z2) With this back gauge system the CNC press brake control calculates the depth, height and width of the back gauge fingers. This back gauge features superior accuracy and speed. This translates to more correct parts at the end of the day. This is accomplished with high quality components such as Siemens Servo Motors and drives. Also THK Ball Screws and Rexroth Linear rails. 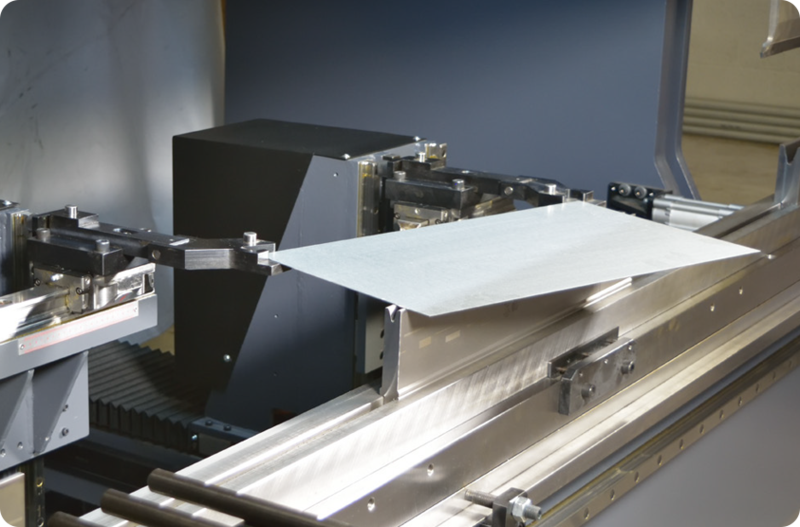 X Axis speeds are programmable to 1200 IPM with accuracy to .0004”. 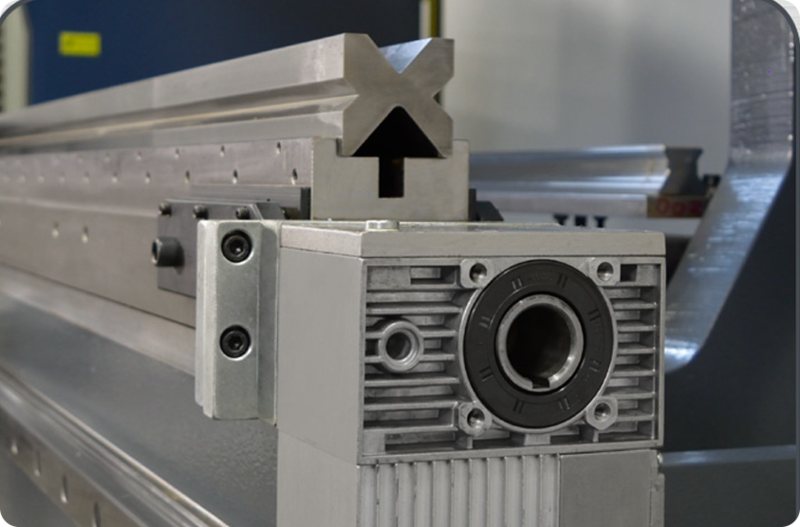 Finger Blocks are located on linear hardened precision ground linear rails. This will ensure accuracy for many years to come. Rails are built so that parallelism between Back gauge fingers and tip of the punch are easily aligned. 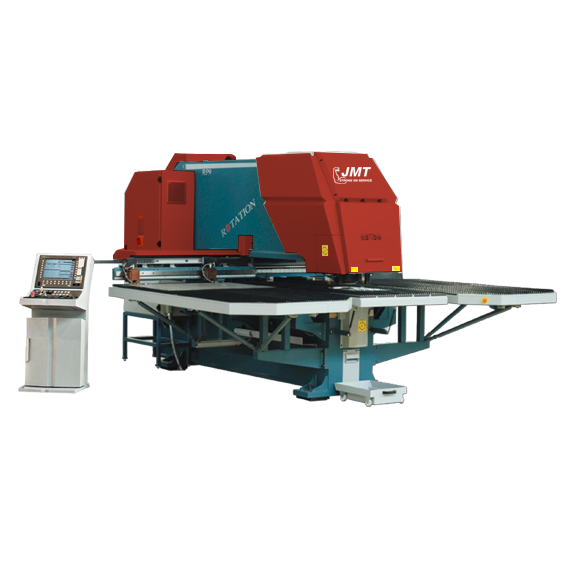 Our ADS, AD-Servo, and high tonnage series press brakes are optionally equipped with CNC 5 axis back gauge. This option, allows faster, more accurate positioning of asymmetrical work pieces. Slanted bend lines allows for +- 5” of travel (Total 10”). This is accomplished with high quality components such as Siemens Servo Motors and drives. Also THK Ball Screws and Rexroth Linear rails. 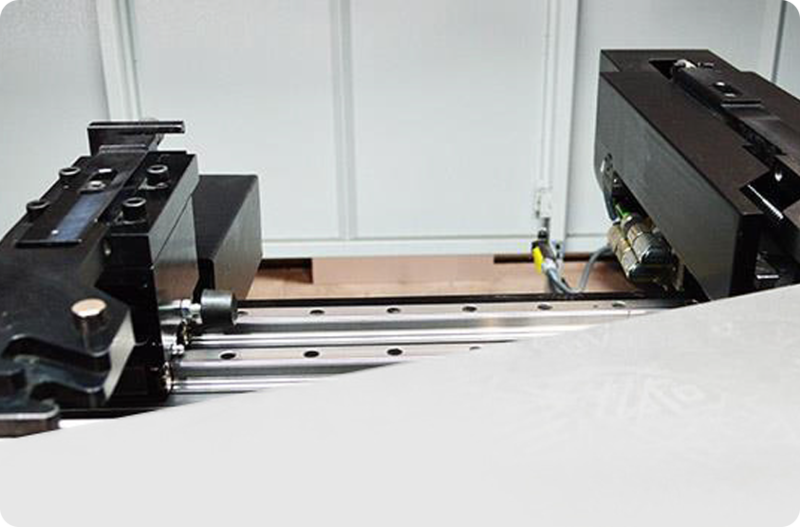 X Axis speeds are programmable to 1200 IPM with accuracy to .0004”. 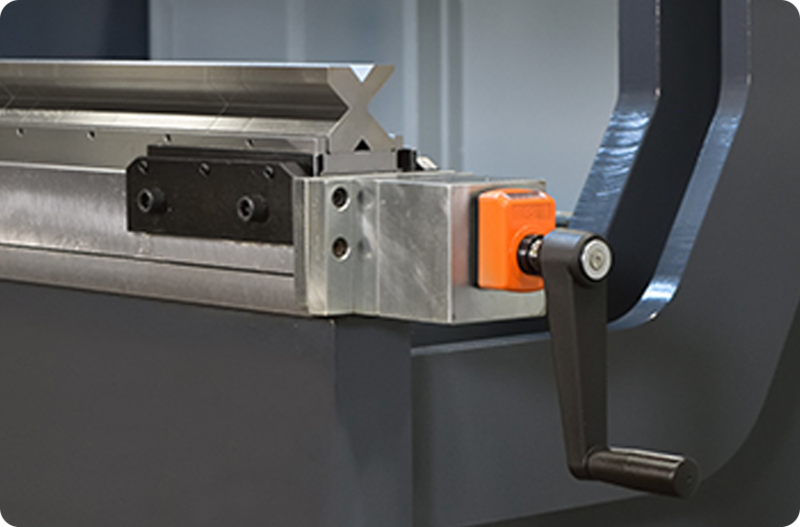 Finger Blocks are located on linear hardened precision ground linear rails. This will ensure accuracy for many years to come. Rails are built so that parallelism between Back gauge fingers and tip of the punch are easily aligned. The 6-axis back guage offers you the highest degree of flexibility with highest production speeds. All 6 axis can be positioned independently of each other. Fingers can be independently located three dimension (X,R,Z) in the space. Control unit calculate finger positions on each axis. Stable finger position for asymmetrical work pieces, no setup times for back gauge adjustment.